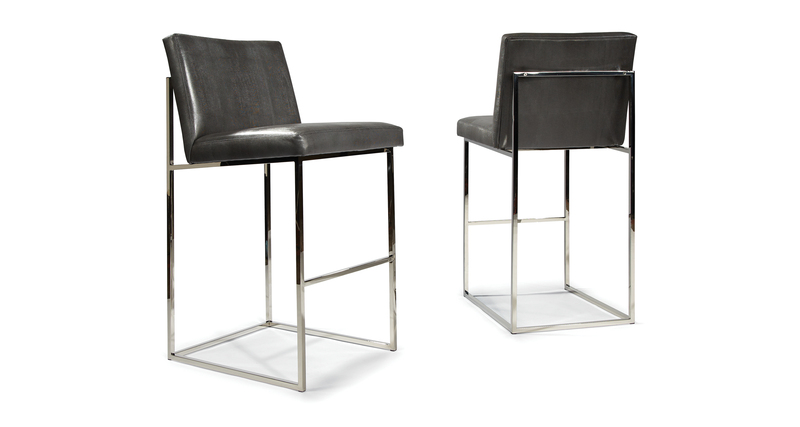 These classic modern bar stools can be upholstered in any of our fabrics or leathers as well as COM. Counter height versions (No. 1187-130) are also available. Polished stainless steel arms, legs and base are standard. Base available in polished stainless steel.